A dry rosé fermented from the darkest juice of our Marquette grapes. Crisp and complex, this wine showcases the darker side of rosé while retaining austerity and drinkability. 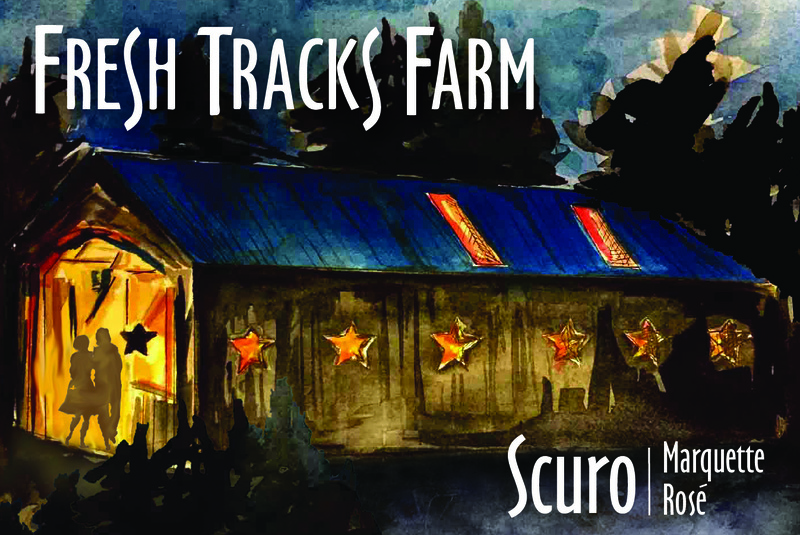 Grape Information: Scuro is made from Marquette grapes grown here at Fresh Tracks Farm, hard pressed to extract the deepest, most fragrant juice. Marquette is a cousin to the Frontenac grape, and a “grandchild” of Pinot Noir. It continues to grow in popularity across colder wine regions for it’s hardiness and wine quality. Suggested Pairings: Enjoy this wine as an aperitif, with a local cheese plate, and bring it out for your next dinner party!